Artists, architects, poets, technologists, historians, community activists, entrepreneurs, and ecologists share their ideas of Untapped Capital and invite participants to actively shape their city. The innovative, minimal-waste StreetFest is free and open to the public, and takes place around the Bowery as well as in Sara D. Roosevelt Park, rain or shine! Tapping the energy and talent of the downtown community, one hundred cultural, educational, and civic organizations present site-specific, collaborative, and interactive projects, exhibitions, and performances that investigate new forms and concepts to engage the public. Many activities will take place on the street including artists’ projections on the New Museum building. 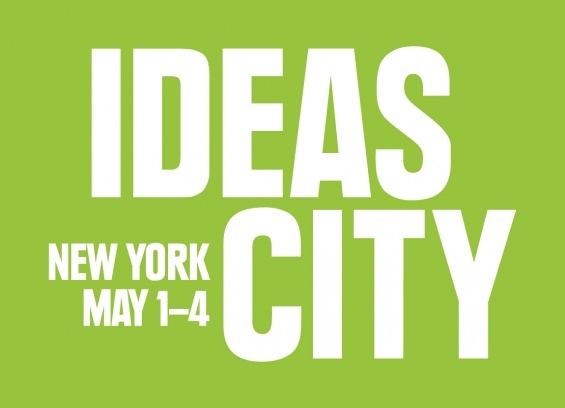 IDEAS CITY is a four-day Festival that explores the future of cities around the globe with the belief that arts and culture are essential to the vitality of urban centers, making them better places to live, work, and play. This year’s theme is Untapped Capital, with participants focused on resources that are under-recognized or underutilized in our cities. IDEAS CITY is made possible by a grant from the New York State Council on the Arts with the support of Governor Andrew Cuomo and the New York State Legislature, and a grant from the Lower Manhattan Development Corporation, which is funded through Community Development Block Grants from the U.S. Department of Housing and Urban Development.